Tony Bancroft | Cappa Toons! Today I had the privilege of meeting a couple of master animators. The first was the great Tony Bancroft, director of Mulan, and supervising animator of Pumbaa, Kronk, among others. 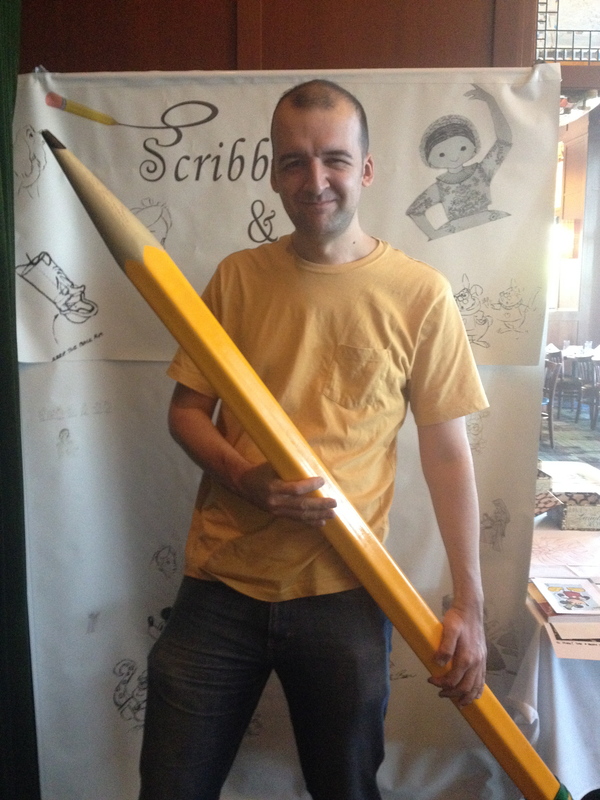 It was a pleasure meeting him, and he has a great book I bought about Directing for Animation. Tony is currently directing an animated feature with an idea involving Paul McCartney. It’ll be interesting to see where that goes. The other was animation master Dale Baer, who has been with Disney since the 1970’s. 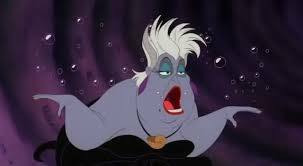 One of my favorite Baer characters is Yzma from Emperor’s New Groove. I tried to see if I could get a drawing of Yzma Kitty from him, but unfortunately he couldn’t remember how to draw her as a cat! Oh well. But the Yzma drawing I got was pretty cool. 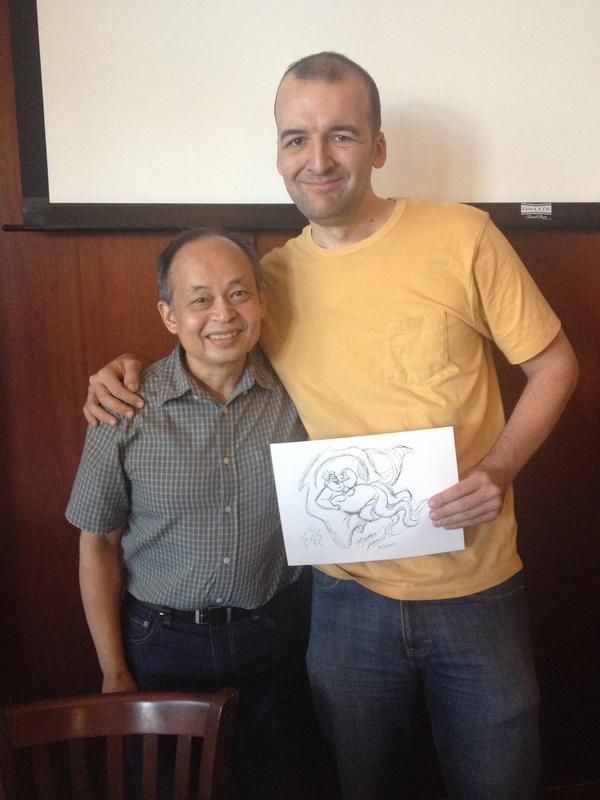 The biggest pleasure I had though was meeting one of Disney’s great supervising animators, Ruben Aquino. 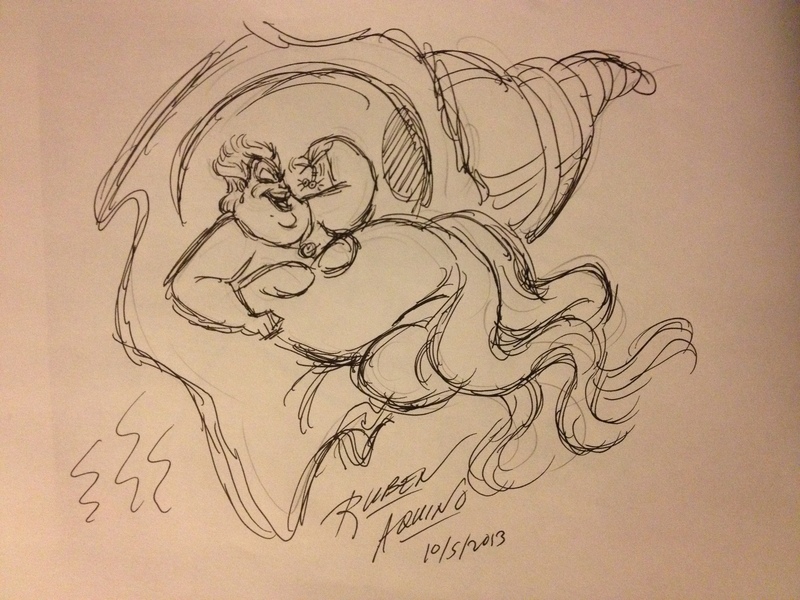 Ruben is most well known for supervising the animation of Ursula in The Little Mermaid, and was also responsible for Adult Simba in The Lion King. 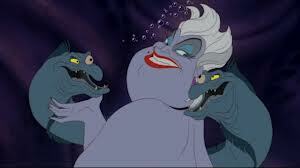 It was great to sit down and talk with him about Ursula, who as a child was one of my most feared Disney Villains. 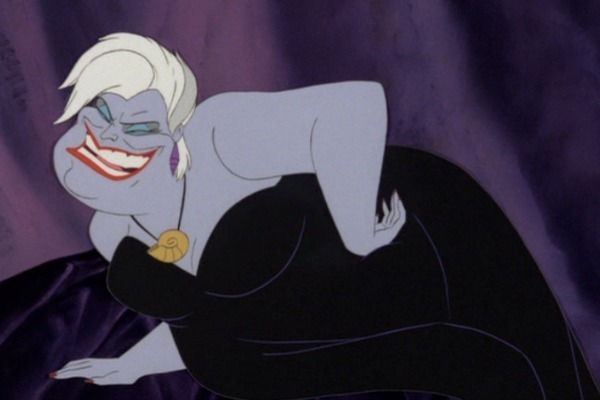 During my talk with him, I said that for myself as a kid, Ursula was probably second to Stromboli in Pinocchio for being the scariest Disney Villain, to which he replied, “Thank you! That’s quite a compliment for scariest villain!” During production of The Little Mermaid, Ruben was the third supervising animator asked to tackle the character, which had been in development by two animators, Glen Keane and Rob Minkoff. 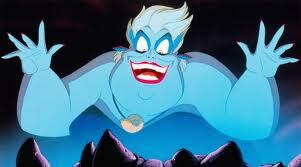 One of the inspirations for Ursula was the drag queen Divine, and the animators watched the featured John Waters film for inspiration of the character. As for making her fat, Jeffrey Katzenberg originally wanted to make her skinny like Joan Collins, but it was the voices of some of the animators and the backing of Howard Ashman that making her fat also made her a bit funnier. One of the interesting things about the character is that she’s quite inconsistent when it comes to staying on model. 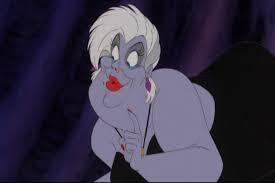 I told Ruben it was one of the things I loved was getting to see which animators worked on Ursula based on the different styles, but Ruben mentioned that the inconsistency was one of the things that bothered him about the character, and his animation was probably the most on model. But regardless of that he also mentioned it being the most fun character he ever worked on. Below you can see some of the inconsistencies in the model based on the different animators that worked on her. Sometimes she’s on model, sometimes her hair or teeth are too big. 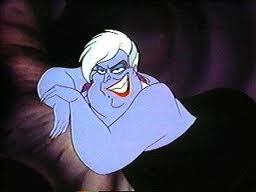 Some animators are more broad and over the top, such as Kathy Zelinski, who animated Ursula casting her spells, as well as the great scene where she’s transformed from Vanessa back to herself and crawls towards the camera on the boat deck. Great creepy stuff. Although Ursula was my childhood terror, I couldn’t help but ask for a sketch of her from him, which he obliged in the drawing below. It was a great pleasure getting to talk with these guys. Hopefully I’ll have more of these events coming up soon, and if I ever get the opportunity, I’d love to do an interview and sit down with one of these guys and talk about their careers. That would be fun.